France’s top-ranked squash player Gregory Gaultier is hoping to fulfil a life-long dream when he leads his country in next week’s WSF Men’s World Team Championship on home soil in Mulhouse. Hosting the championship for the first time in its 46-year history, France is seeded to reach the semi-finals – but, buoyed by a new world number two ranking, Gaultier is hoping to take his team to the final for the third time since 2003, and strike gold for the first time. 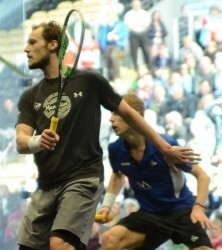 Gaultier has enjoyed a distinguished career on the PSA World Tour – notching up 23 titles from more than 50 final appearances and becoming the first Frenchman to win the British Open. “I think a team event is nicer than what I am used to on the Tour, which is quite a lonely life. You play for your country and for your friends as well – but the preparation is the same in terms of having to get ready to compete and get the win for the team and yourself,” explained the former world number one. The French squad will include Gregoire Marche and Mathieu Castagnet, ranked 29 & 30 in the world, respectively – and will be boosted by the return of Thierry Lincou, the 37-year-old former world number one and world champion who retired from the international circuit last year. 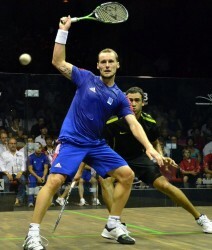 Gaultier has represented France with distinction in the world team championship – playing 34 times, with success in all but eight matches. With success in the Swedish Open in February and runners-up berths in both the Tournament of Champions in New York and the British Open last month, Gaultier is enjoying an excellent runs of form. “I’ve been trying to get back to the top for a while – being back at number two is good, but number two is not my favourite number,” added Gaultier. “Ramy (Ashour) has been the best this year, but I keep working hard to be able to get some wins in future and be back at number one. 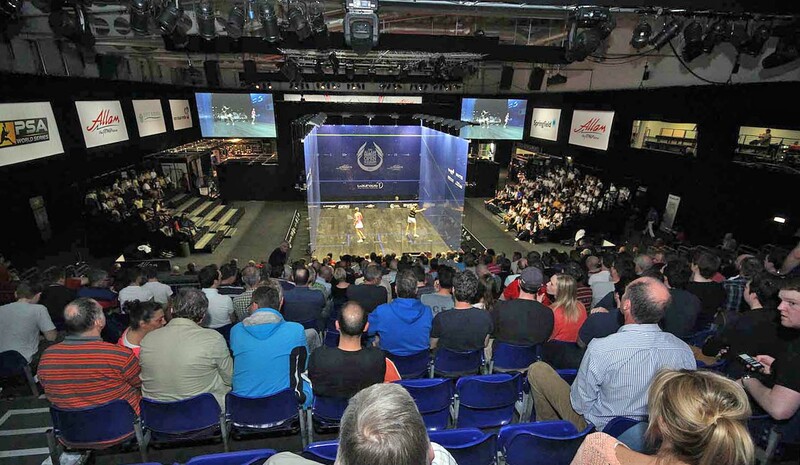 The 24th WSF Men’s World Team Championship will be held from 9-15 June in Mulhouse, at both the Espace Squash 3000 Centre and the Palais Des Sports – where action will take place on three all-glass showcourts, with stunning presentation assured.